Bring the bakery home! These delectable and delightfully adorable cupcakes look and taste so amazing your friends and family won t believe you made them yourself and from a mix! 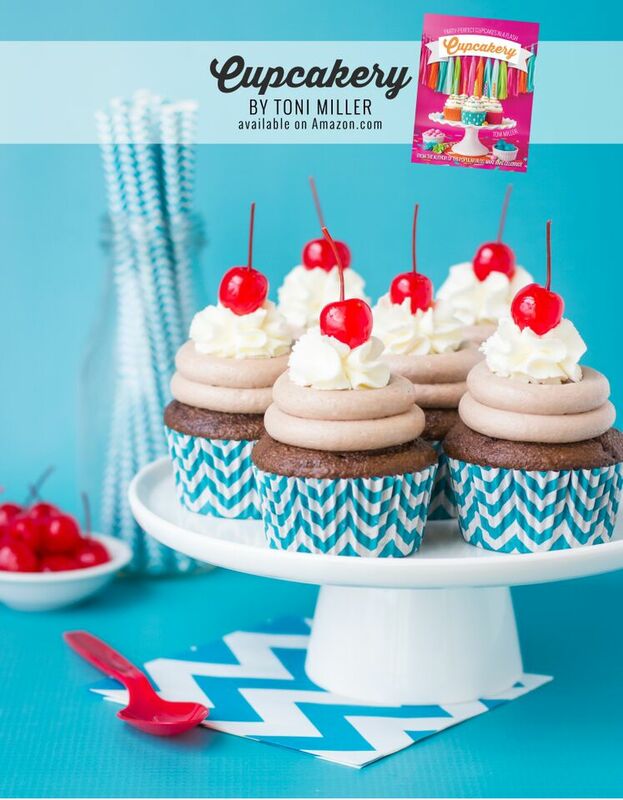 From French Toast, Cherry Cola, Cake Batter, to Fudge Sundae, and Mocha Swirl, add a little extra sweetness and sass to your next celebration with these quick and easy cupcakes! This cookbook is to die for! 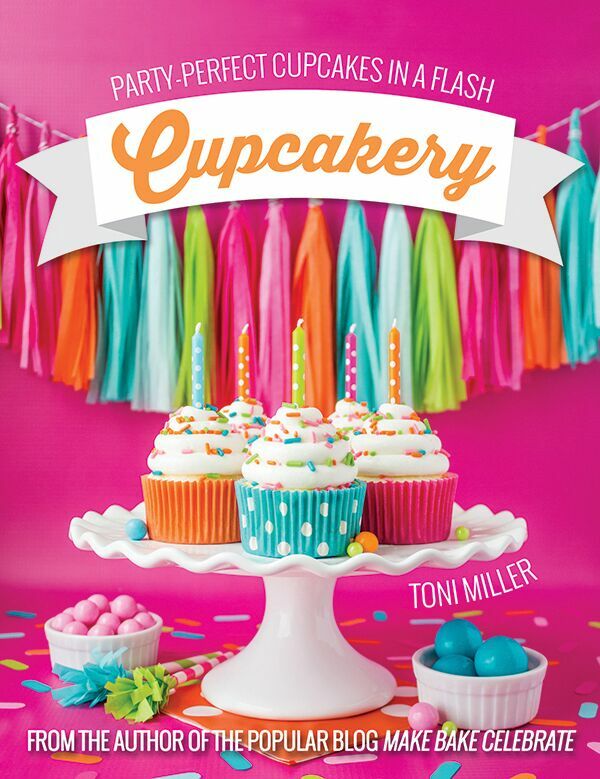 My children and I loved the colorful pages, the awesome recipes and fun feel of the ideas. Our family watches cupcake wars on TV all the time, so when Cupcakery arrived there may have been some squees involved. 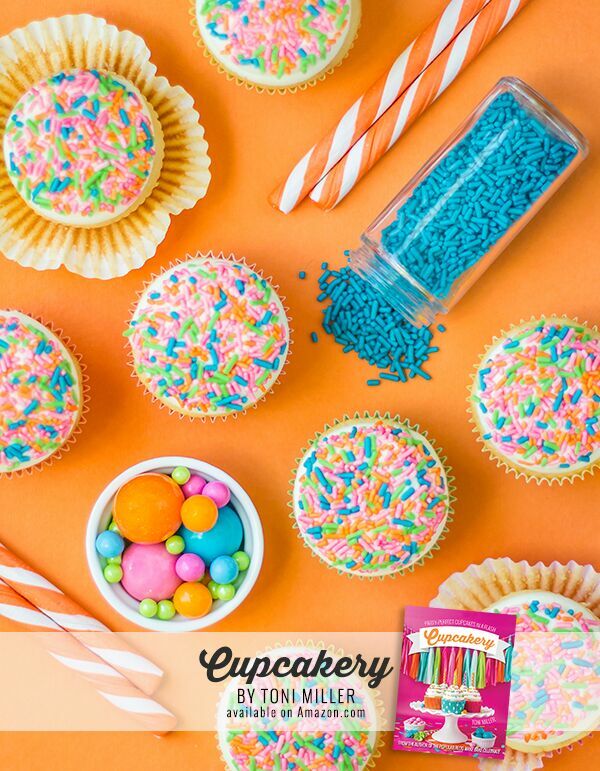 We adore cuppycakes around here. Definitely a “to buy” or gift item. User friendly and gorgeous. *Giveaway is open to US entries only. Proof of purchased or entry validation may need to be provided by winner upon winning. Winner will be chosen at random on July 08, 2015. 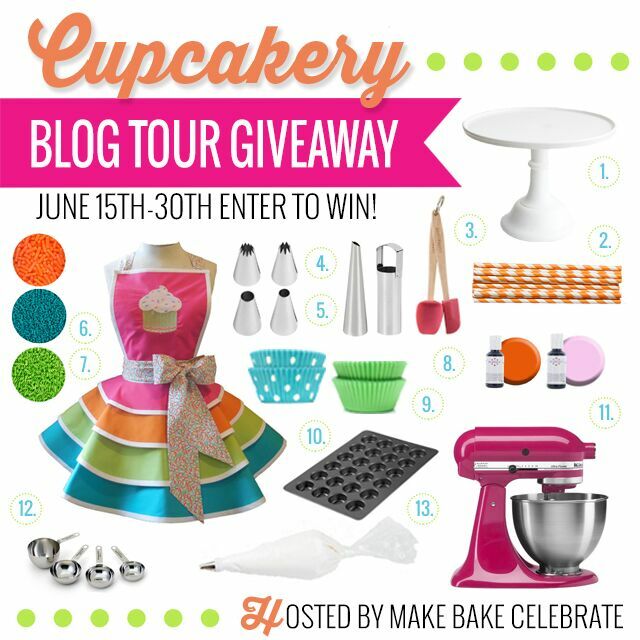 Make Bake Celebrate, and all participating bloggers have the right to display winner name(s) on all electronic publications including but not limited to; blog posts, Facebook, Instagram, Twitter, and Pinterest. If for any reason a prize is unavailable Make Bake Celebrate has the right to replace said prize for another similar item of equal value.